It's been a little clock face crazy here lately. As you know, I've been painting clock faces. Well, I've been finding them too. 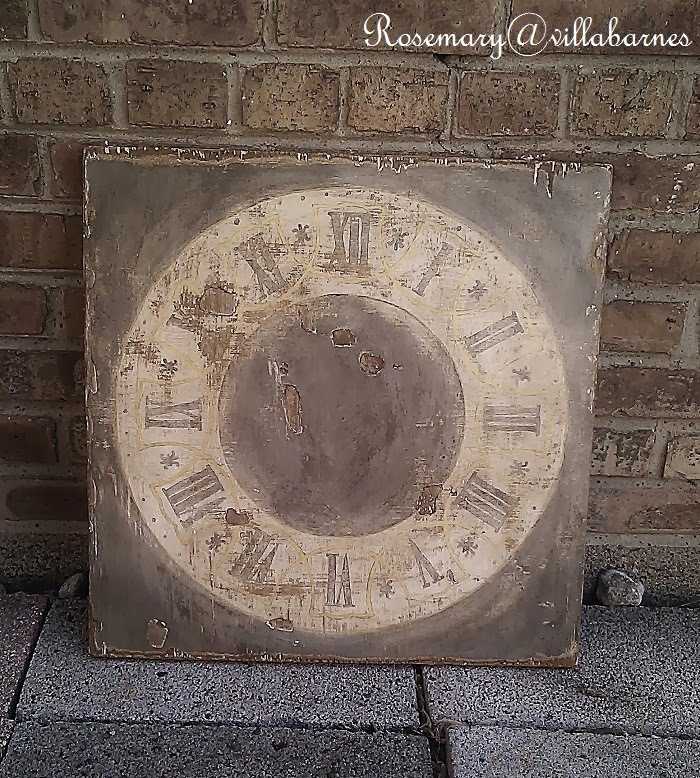 In my last post, I shared some of my finds from this past weekend, which included clock faces. 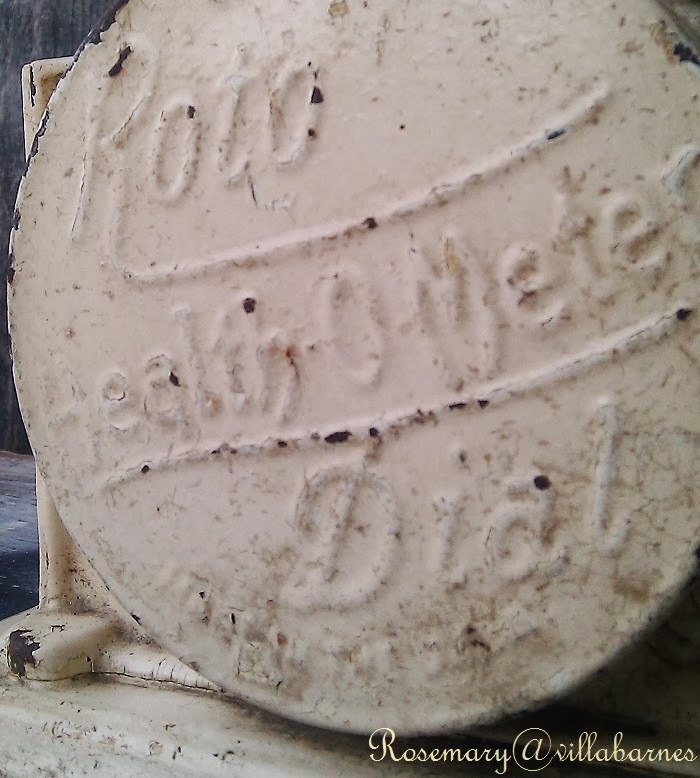 This vintage clock face is another one. A couple posts back, I shared a peek at a distressed clock face I was working on. A dealer friend of mine asked if I could paint a clock face for her using a piece of wood she spotted the last time she was over. You can see how much larger it is than my other clocks. I was contemplating adding more detail, but, she liked it the way it was. My friend is Traci of Whimsy. She has a beautiful shop in Morris, IL. 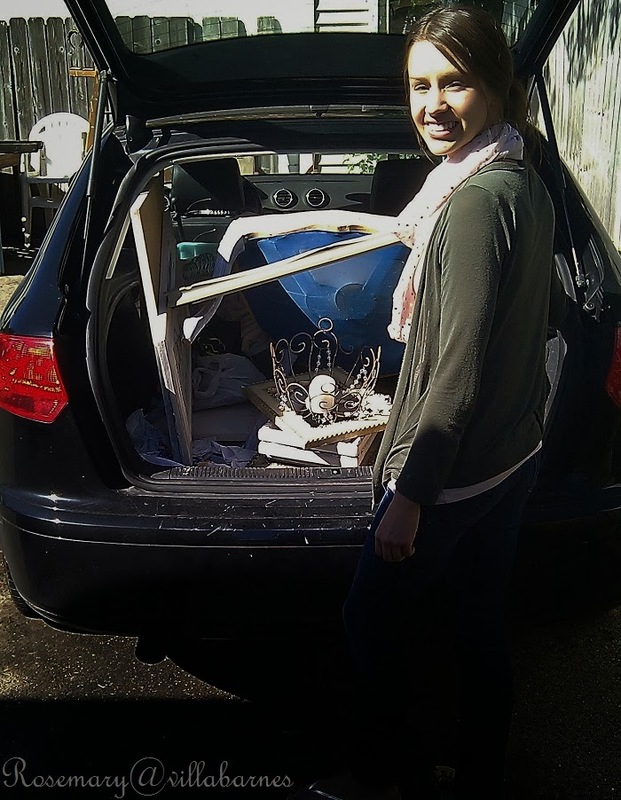 Not only did she buy the large clock, but, she drove away with every clock I had finished, and a bunch of other stuff. 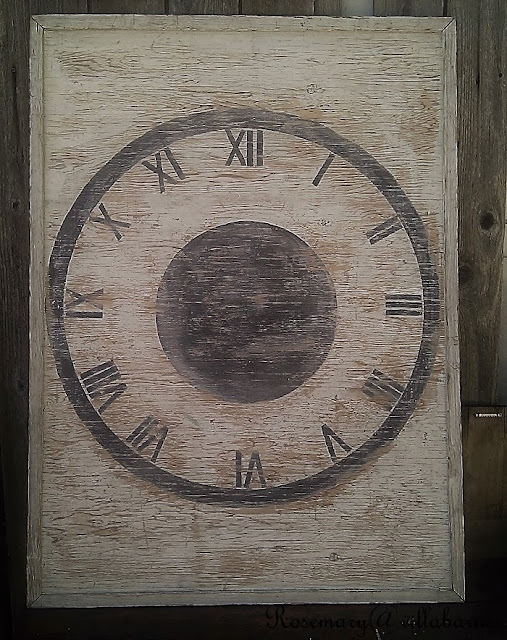 BTW, my heavily distressed clock face was the number one favorite on Facebook, and here. However, I also have requests for this version. Here's another one I painted on a salvaged piece of metal. 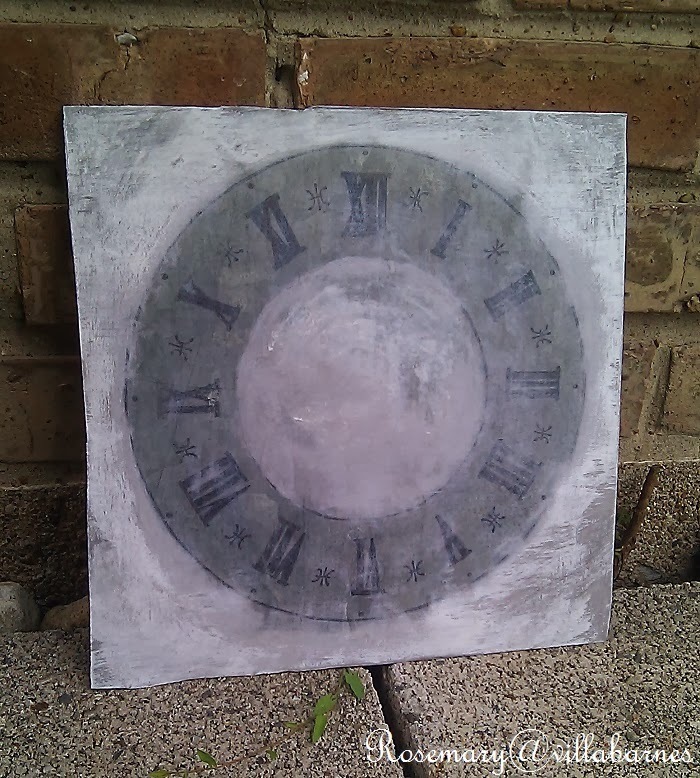 I wanted it to look like I discovered a clock face under layers of paint. 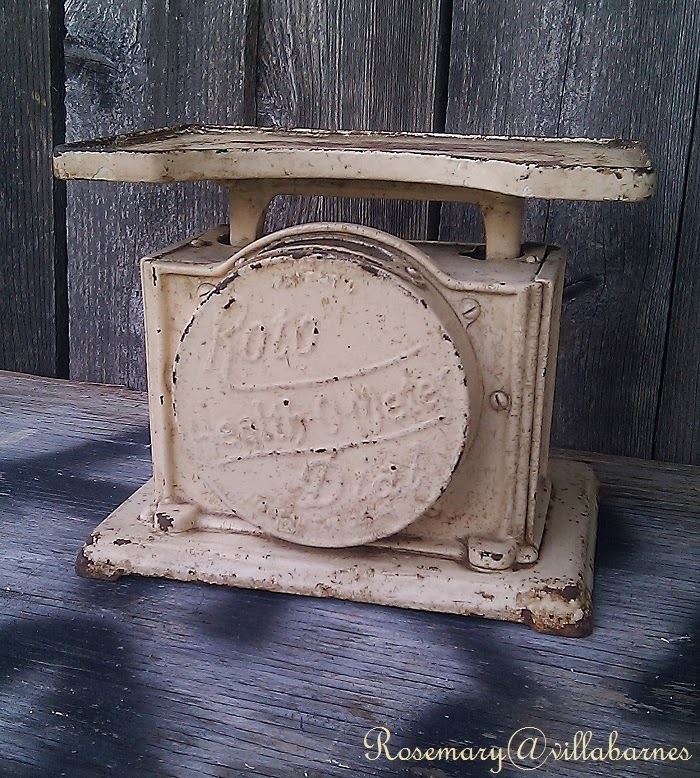 like this vintage scale. It now lives with my friend, Sharon. and, I have to get at a bunch of other projects. I've just been busy in general. I've been baking more than usual as well. I'm blaming it on the chilly Fall weather we've been having. 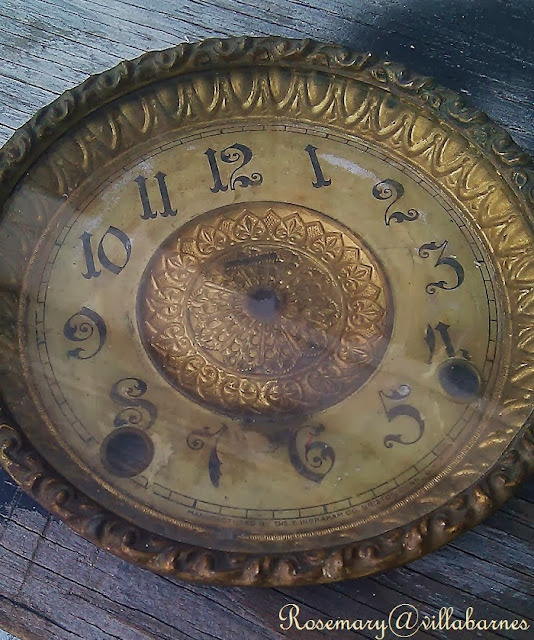 I love all the clock faces, but the heavily distressed one is still my favorite. Your line of projects looks similar to the one in my living room. You are soooo busy! Isn't it fun? 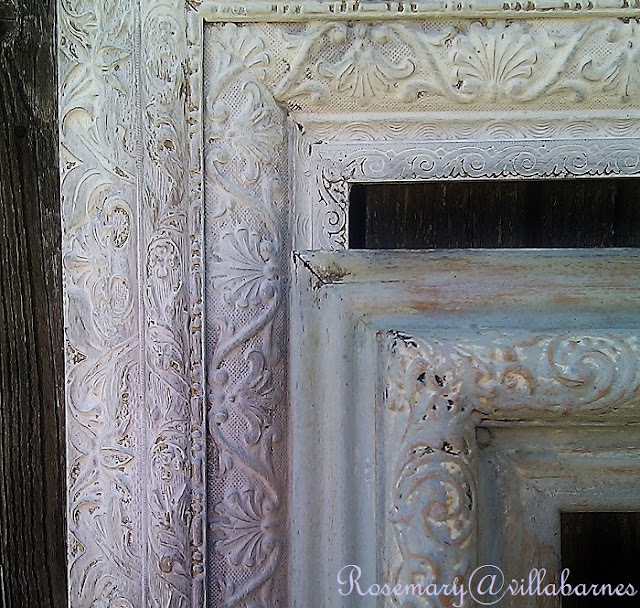 Love your patina techniques and lucky are your friends to haul off your gorgeous creations! Rosemary, you are a world wind of creativity! You've always got something amazing going on. Love your clock faces and OMG does that cake look yummy! Recipe, please. 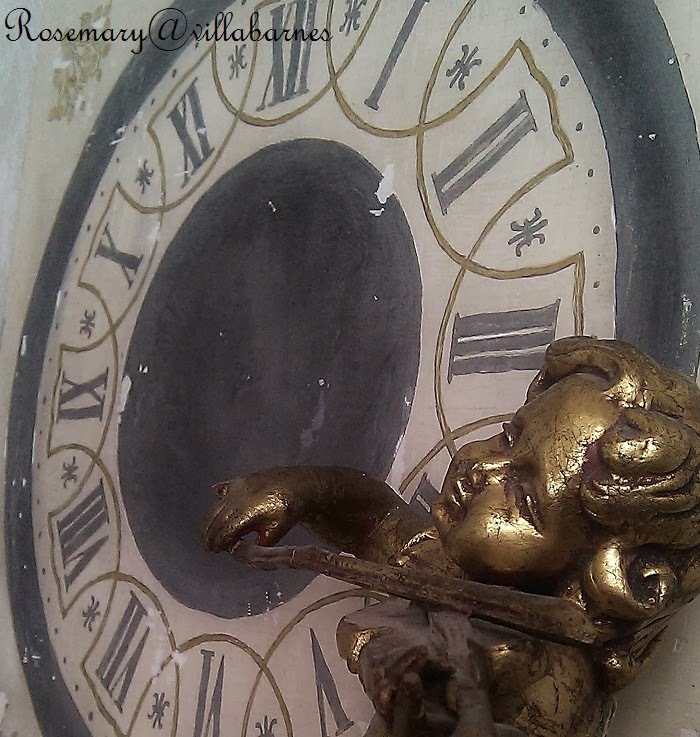 That antique clock face is beautiful, Rosemary! You certainly are busy with your clocks. 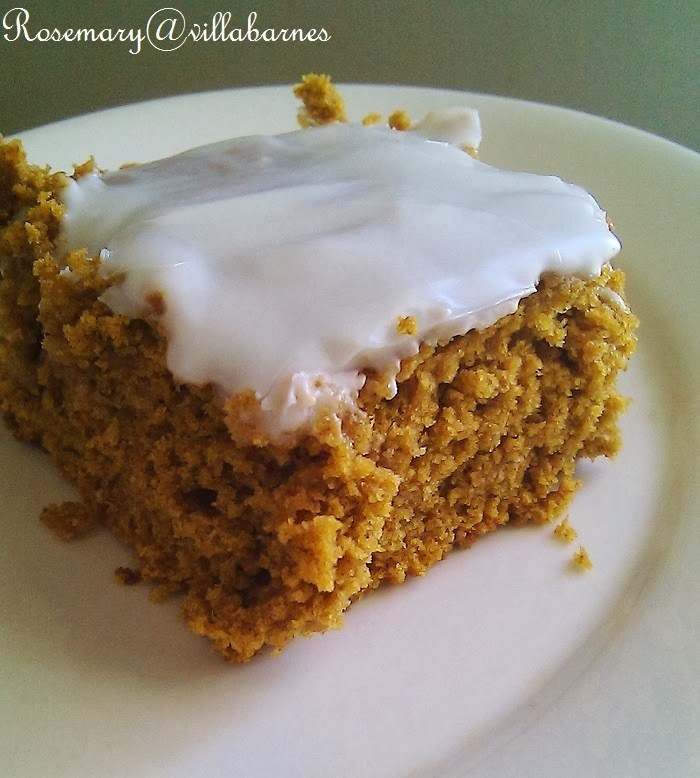 I'm planning on making pumpkin bread tomorrow. It has been so chilly here I put our blanket on the bed today. October is one of our busiest months of the year. I feel your pain! I've seen so many pretty vintage and distressed clock faces in decor, and I love that look! I love everything you've been making including that cake! We've been having cold weather lately too. It's so sudden! We went from shorts and sandals to long pants and light jackets overnight. 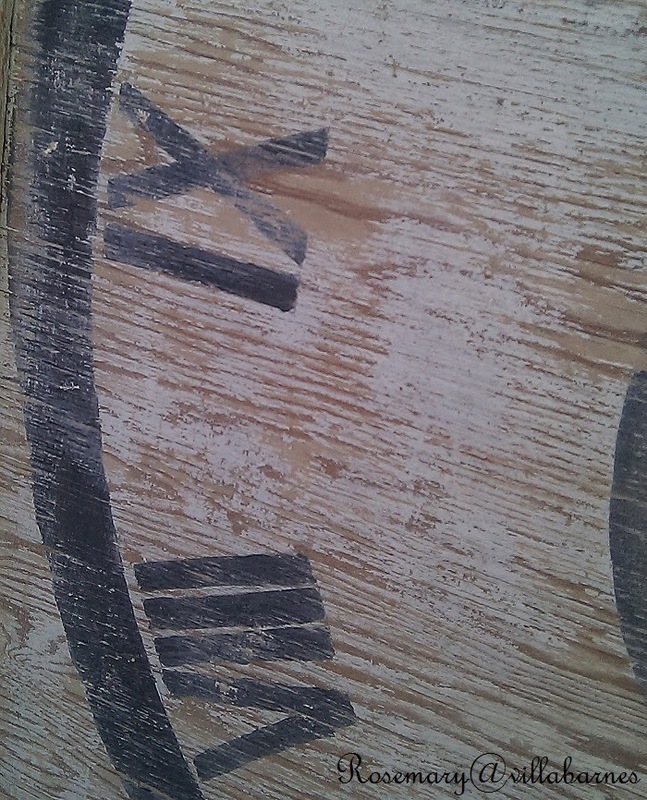 I do love your clock faces. Wish I could do that. It's no wonder why your friend bought all of your inventory. I'm sure they would be a hit in any antique/vintage shop. I went out to Morris and saw Traci's new shop. It is so beautiful and huge. I could not get enough!!!! Too gorgeous. 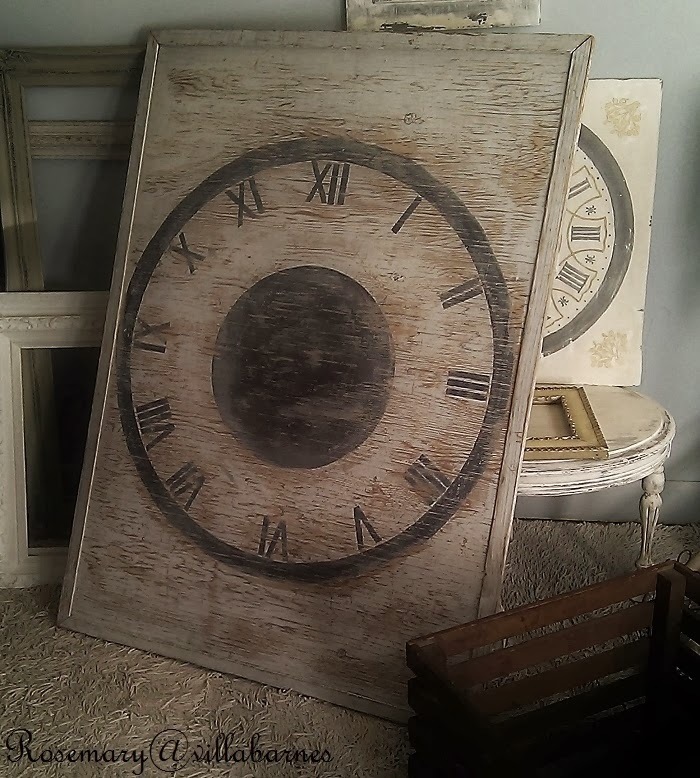 Your clocks will look great in the shop. I love that little scale how unique is that?!!!! Yum on that cake too. Now I am hungry!!!! Ha Ha!!!! I really enjoy reading your blog. You inspire me to get busy however I think sometimes you stay busy enough for the both of us. 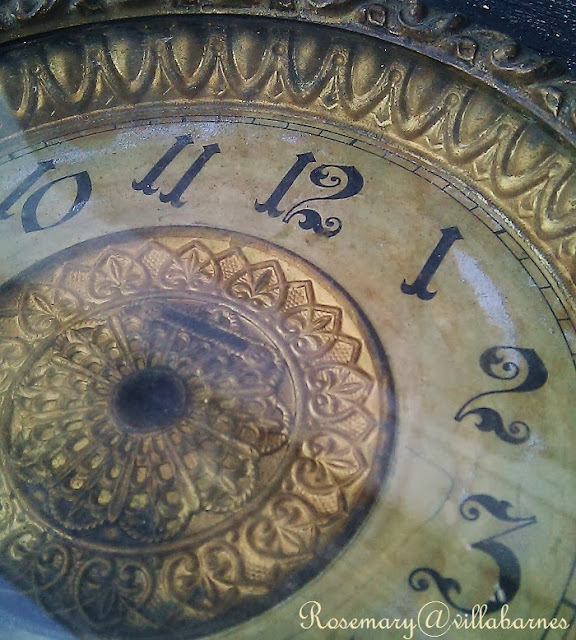 lol Loved what you did with the clock faces! I am sure they will be enjoyed whatever home they land in. You are so talented Rosemary! 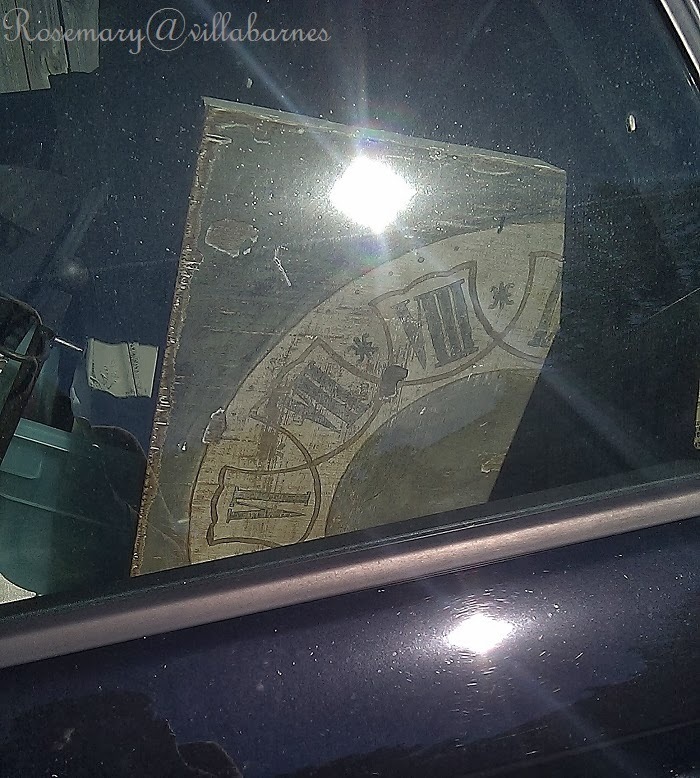 Your pieces look so authentically aged. Oops hit publish by accident! The frames especially caught my eye. Thanks for visiting and for your kind comment. It's good for the soul to be busy. Beautiful work! You have been busy! Love your beautiful creations! I bet she will sell those fast! Oh My, You're busy!! You get all the things done that I wish to do! I wish I had your energy! Love all the clocks, I especially like the scales! I think now you should go rest. Beautiful work, great finds and yummy cake. Love it all. I am SO in awe of you Rosemary! Your clocks are all so fabulous and that piece of cake made me want to jump into my screen!! lol! I've said it before, and I'll say it again....you are AMAZING, girl! Just amazing! 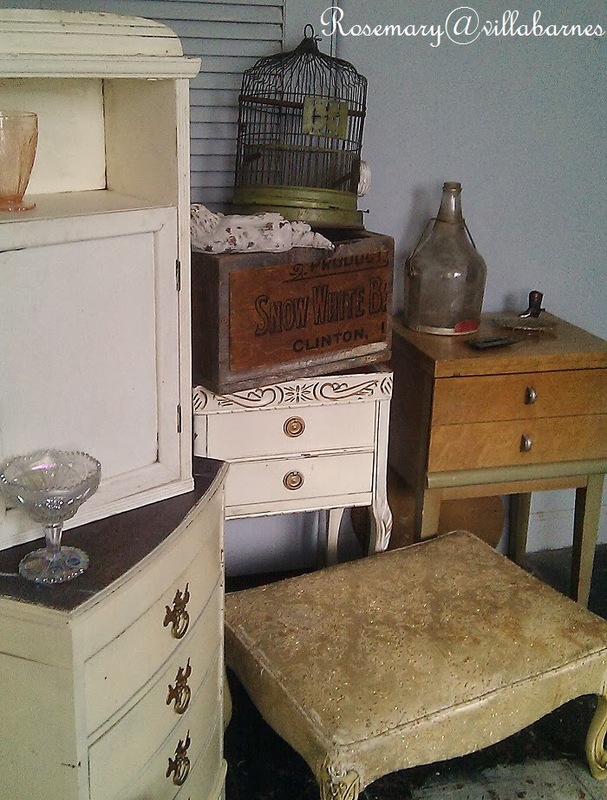 Everything you touch turns beautifully vintage and full of history. Your talent is so inspiring!!! Rosemary, those clockfaces are just wonderful, all of them!!! they're just amazing works of art, with such a great frenchy/industrial vibe! The minute you do a clock face, I think I simply must have one! Of course, the minute you create something else, I'll think I must have that too. They are all beautiful! You are one talented lady. Love, love the clocks!!! Your clocks are wonderful and that is was awesome old scale!! !